The VA Benefit of the Doubt Rule only Matters When Your Case is Too Close to Call. I know what you are thinking….here goes Chris with ANOTHER baseball metaphor. Truth be told, baseball is one big metaphor for life. More to our VA Claim purposes, however, there is one baseball game scenario that perfectly explains what the VA Benefit of the Doubt Rule is. Have you ever watched a baseball game when a play is just too close to call? The runner trying to get to 1st base, for example, appears to get there at the exact same time as the ball thrown to get him out. In situations like this, the general rule is that the “tie goes to the runner”. But here’s the “catch” – there has to be a “tie”. This is EXACTLY how the Benefit of the Doubt Doctrine Works in a VA Claim. There has to be a tie, first, before the VA Benefit of the Doubt Rule can apply. Most Veterans battling the VA have been misled as to what the Benefit of the Doubt doctrine means. They are taught – frequently by well meaning but untrained VSOs – that the Benefit of the Doubt means something close to “blind faith”. This is not at all how the Benefit of the Doubt works in a VA Claim. I am going to show you how to use the Benefit of the Doubt in your VA Claim or Appeal, but first I need to tell you the “law” that applies. VA Benefit of Doubt Rule, Explained. All law – at least in the area of VA Disability Benefits – starts with a statute. Do you see the key words? I put them in bold to make them jump out at you. Whenever there is a statute, the particular government agency that is responsible for enforcing that law publishes a regulation. In VA benefits claims, we find the enabling regulations in the “CFR” (Chapter 38 of the Code of Federal Regulations). 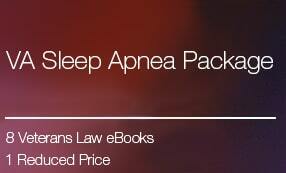 If we blend all of the information in the statute and regs together, we come up with this KEY rule in VA Claims…. When all the procurable and assembled data are in approximate balance, the tie goes to the Veteran. Incidentally, this is why getting your C-File is so crucial – to see what the VA has (and has not) procured and assembled in your case such that you are getting denied benefits. Stronger Evidence Trumps the VA Benefit of the Doubt Rule. It is my belief that if you are arguing the “benefit of the doubt” should cut in your favor…. ….you are fighting an uphill battle. To get out of that required result – giving the tie to the runner, as it were – the VA Rater, DRO Officer, or BVA Judge need only figure out a way to make sure the greater weight of the evidence cuts AGAINST you. If that happens, then there is no tie, and the “tie-goes-to-the-Veteran” rule does not come into play. 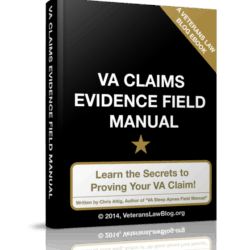 How to Beat the VA Benefit of the Doubt Rule. Because the Veterans Court gives the VA Rater, the DRO and the BVA Judge a lot of discretion in WEIGHING evidence, you don’t want to have to hang your hat on the Benefit of the Doubt Doctrine. Remember, a crafty Rater or BVA Judge can find any kind of negative evidence that cuts against the claim – they sometimes use another Veteran’s medical evidence to do it. If there is no “tie”, then the Benefit of the Doubt doctrine does not apply. How do you beat that scenario? In a word: Lay Evidence. Lay Evidence has a LOT of power. And so it stands to reason that more 5-Star Lay Evidence that you have in your claim, the more the weight of the evidence will be in your favor. 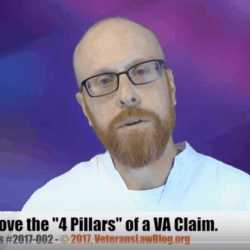 So, it is my belief that Veterans should use the Benefit of the Doubt rule as a last resort – only if the Veteran cannot procure or assemble any more evidence or data to support your claim. Here’s the thing – there’s ALWAYS lay evidence to put into your claim. How to find and submit that evidence is far beyond the scope of this post – I have written an entire book on it. The one one thing I want you to take away from this post is that the Benefit of the Doubt doctrine ONLY comes into play if there is a “tie” in the evidence. 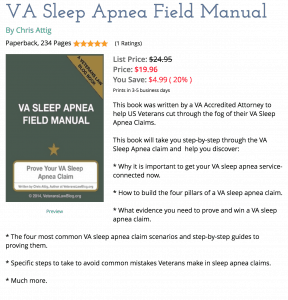 Do you just want a “tie” in your VA Claim? Or would you rather have a “slam dunk”? Your confusion is understandable – it happens a lot. It SHOULD be the case that when 2 different conclusions can be drawn from the same set of facts the benefit of the doubt should be given the Veteran. It IS the case that the VA Raters and BVA hearing officers put a “finger on the scale” and give improper weight to certain evidence, improperly find some evidence not competent or credible, or simply ignore other evidence. That’s why it’s important to build your case as STRONG as you can, so that when the VA Raters and BVA hearing officers put their finger on the scale, it’s harder to overcome the strength of your case. “regarding any issue material to the determination of a matter,” The BVA seems to put all of the evidence on a scale to resolve SC (matter). But to me this reads that each event/incident should be given Benefit of the Doubt? Restated, is the Benefit of the Doubt, clumative or singlure? The “scale” is the particular issue to be resolved. Most times, its much narrower than we think. For example, we often think the issue is “service connection”, when really it is “is it at least as likely as not that Condition X is related to the symptoms that occurred in military service”. In any event, if all the evidence on a particular scale is in “balance”, then the benefit of the doubt rule would apply. There can be multiple issues, or scales, in any case. Hope that made sense! If not let me know.